The plaque on the tonsils formed mostly with angina and chronic tonsillitis. It can be removed mechanically and with the help of washing of the tonsils. The latter method is the most effective. 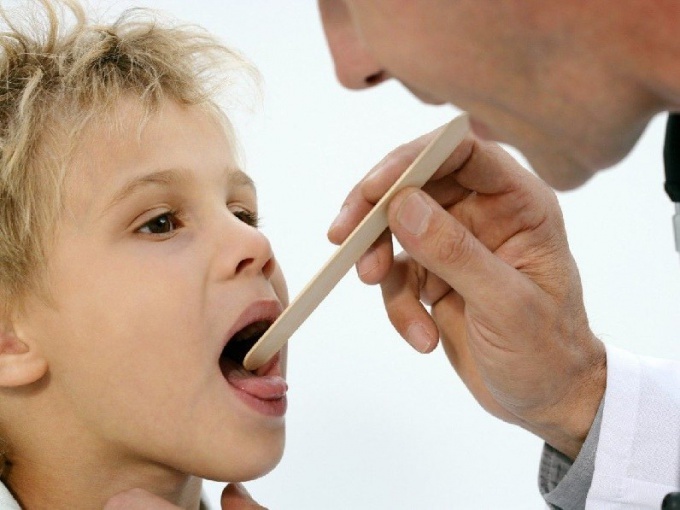 The problem of chronic tonsillitis every year becomes more acute. In this disease the tonsils are formed of specific plaque and tube, as well as an unpleasant odor from the mouth. Currently, there are several ways to remove plaque. Which one you choose depends primarily on how pronounced this problem. To better understand the mechanism of treatment, it is necessary to be familiar with the structure of the tonsils. Tonsils - a cluster of lymphoid tissue, which are located in special niches mihalkovich. The tonsils have small holes called lacunae. Just as they usually accumulates plaque. The contents of the lacunae represents the dead cells and dead skin cells. While eating in the gaps can also accumulate food particles, which must be periodically removed. Regular gargling in this case will not help. The home method consists in mechanical removal of plaque with a cotton swab, wound on a pencil. Pre-swab should be moistened with a solution of Iodinol. The procedure can provoke a gag reflex, and for this reason is not very pleasant. To completely remove the plaque, you will need several times to carry out this manipulation. Also at home you can wash the tonsil with a special irrigator, which can be purchased in specialized pharmacies. Lavage of tonsils in the clinic - the most effective way to get rid of plaque. Often procedures are prescribed by the attending physician to remove tonsil plaque. Currently ENT doctors agree that it is necessary to spend from five to ten manipulation to completely resolve the issue. I should add that chronic tonsillitis is almost impossible to cure. But it is possible to improve the overall health with the help of irrigation of the tonsils. The ENT doctor performs the procedure using a special syringe filled with a disinfecting solution. The solution in the lavage of tonsils gets into gaps and flushes their contents, and also has anti-inflammatory effect. This method has many advantages, for example, high efficiency, safety, and hypoallergenic. The cost of the procedure in private clinics is not very high. So the washing of the tonsils will cost you a small amount. Also in clinics often prescribe vacuum washing of the tonsils. This procedure represents the removal of plaque and tubes under pressure. It does not take much time, but it is contraindicated in pregnancy.